Arms (game, 2017). A fighting video game by Nintendo. Developed by Nintendo EPD. Official Trailer. 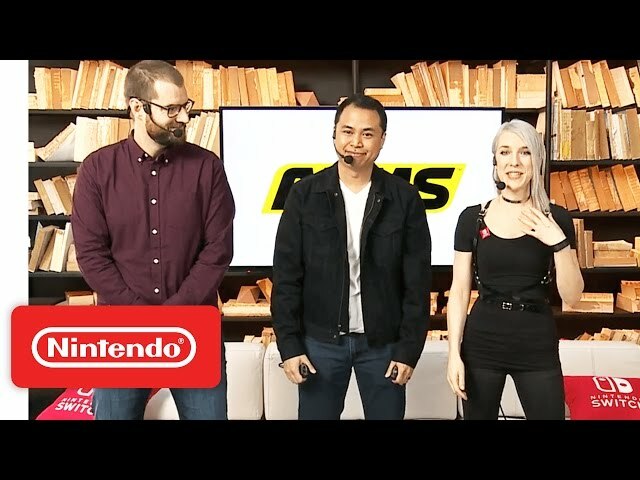 Arms is a fighting video game by Nintendo, developed by Nintendo EPD. 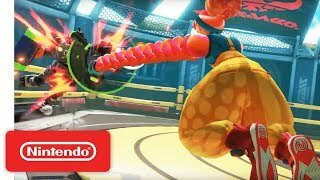 ARMS Ver 3.2 Update Trailer - Nintendo Switch. 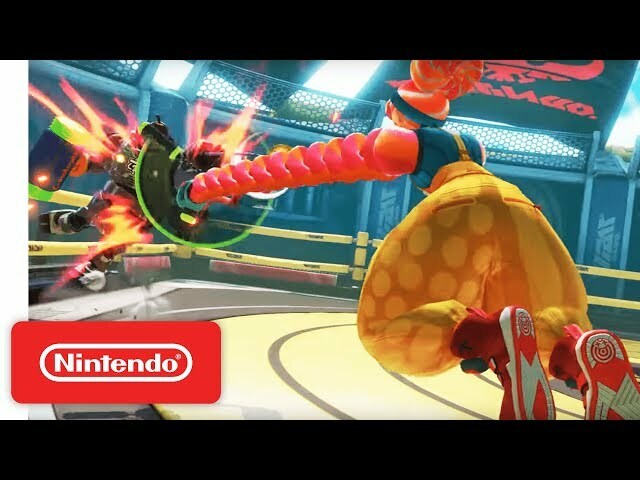 Arms is a 3D fighting game in which up to four players can control one of a variety of fighters, with the player able to perform basic fighting actions using extendable arms such as punching, throwing, blocking, and dodging. Arms features fifteen playable fighters, with some of them being released as downloadable content. Each fighter starts with three unique Arms that can be selected in battle, but the use of all other fighters' Arms can be unlocked in the Get Arms mode. All fighters also have unique attributes in combat. When the attack meter is fully charged, players are able to unleash a high-damage "rush attack" against their opponents. Players can also charge their attacks to temporarily increase damage and utilize elemental effects. Each character has a different set of abilities and unique Arms for different strategies. Players are able to use the system's Joy-Con motion controls or standard button inputs with controllers such as the Pro Controller to operate each Arm individually. Players are also able to customize their Arm load outs, with each Arm being able to be selected independently. Every Arm is different with elemental attributes and varying weights that affect gameplay. Up to four players are able to play in a single match, either in a three or four-way free-for-all, or in a two-on-two mode in which teammates are tethered together. 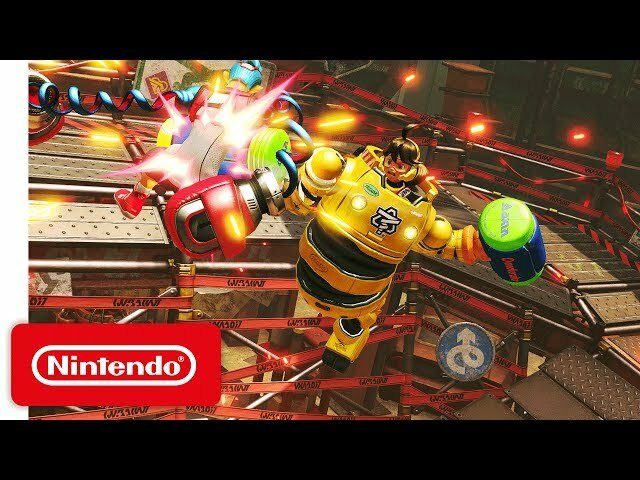 Besides the standard fighting mode, Arms features multiple other modes: Versus, Grand Prix, and a variety of Battle modes. In Grand Prix, players take on a set of 10 matches against computer-controlled fighters to win the championship belt. Battle mode consists of volleyball and basketball modes, a target breaking mode, and a survival mode. Players can also play online in a party match lobby with up to 20 players, or in one-on-one ranked matches. Up to four players can control one of a variety of fighters, with the player able to perform basic fighting actions using extendable arms such as punching, throwing, blocking, and dodging. Arms features fifteen playable fighters, with some of them being released as downloadable content. Each fighter starts with three unique arms that can be selected in battle, but the use of all other fighters' arms can be unlocked in the Get Arms mode. All fighters also have unique attributes in combat. When the attack meter is fully charged, players are able to unleash a high-damage "rush attack" against their opponents. Players can also charge their attacks to temporarily increase damage and utilize elemental effects. Each character has a different set of abilities and unique gloves for different strategies. Players are able to use the system's Joy-Con motion-controllers or standard button input to operate each arm individually. Conventional control methods, such as with the Pro controller, are also able to be used. Players are also able to customize their arm loadouts, with each arm being able to be selected independently. Every arm is different with elemental attributes and varying weights that affect gameplay. Up to four players are able to play in a single match, either in a three or four-way free-for-all, or in a 2v2 mode in which teammates are tethered together. Arms was scheduled to be released by Nintendo on June 16, 2017.